Excellent performance for high temperature and anti electrical. SUNWELLSEALS GR107 Mica filler for spiral wound gaskets is an asbestos-free sealing material. The mica is exceptional in it resistance to high heat. At the temperature of 900 F the ideal sealing material graphite can not used. Flexible graphite will coke at those elevated temperatures when oxygen is present, where mica gasket material will not (900~1,850 F). Mica filler is en excellent alternative in these high temperature to 1,800F applications. It can be cutted to different width for producing the different thickness of spiral wound. Resists a wide array of chemicals. 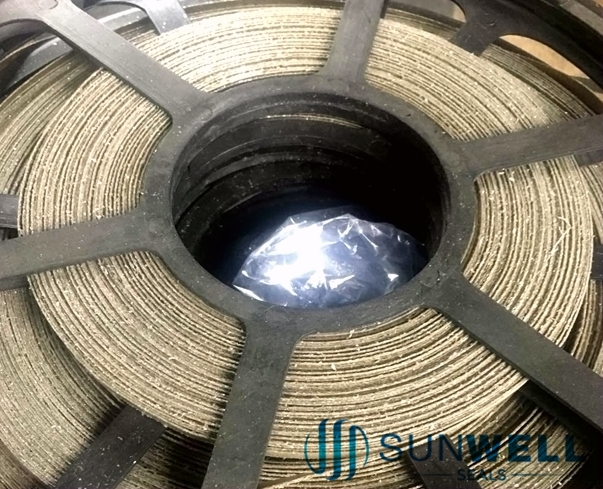 More details of the SUWNELLSEALS GR107 Mica Filler For Spiral Wound Gaskets, Welcome to contact with SUNWELL Sales Teams.